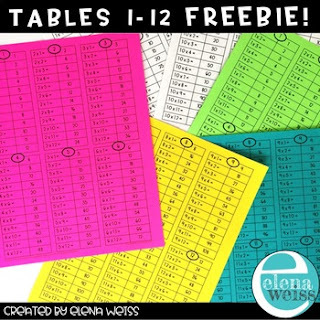 ♥ This multiplication reference sheet is great for binders or notebooks! ♥ Large and easy to read, print these 2 pages front to back. ♥ It is a handy reference for students while they are working in class or at home! All rights reserved by the author.Permission to copy for classroom use only.This product is to be used by a single teacher. Copying for more than one teacher, classroom, department, school or school system is prohibited.This product may not be displayed or distributed digitally for public view without written permission from the author.